The global networking system has permeated literally every single aspect of the contemporary life. From trade and health – care to banking and other service provision, every single offer can be easily found in this digital domain. And given the massive consumption rates of the modern Internet, each business presentation concentrates its efforts in building strong online relationships with its consumer – base. As for the banking industry, online communication is what makes job easier both for the bank or credit organization on the one side and the client on the other. From avoiding a queue stretching for one meter to staying at your comfort zone without having to drive outside for your transactions, loan repayment, etc, advantages of online medium for bank – related activities don’t have an edge. Thus, since interactive digital engagement is of utmost importance for banking industry, we at SKT Themes did our best to select a powerful collection of niche – specific templates ready to host the website of your bank, credit union, investment firm, accounting office or any other financial structure. Each banking WordPress theme discussed below will save you a ton of time and efforts thanks to the unique intuitiveness and amenity it shares. We are of the firm belief that Gravida is powerful and durable enough to sustain any modern digital challenge and satisfy all your specific needs and expectations. This banking WordPress theme is modern and alluring, visually attention – grabbing while totally lightweight and intelligent in usage. Whatever your proficiency in development or position in marketing, this responsive and cross mobile compatible template is the one to empower you with enough mastery to deal with your website. Stylized with effectual color combination, Gravida is presented with nice -looking full screen slider with diverse controllable effects to be applied in order to showcase your bank’s crucial points, new projects, loan percentage and other details easily. Armed with modern Customizer for easy changes and their preview, this template is also totally search – engine optimized and social media – friendly. If you think establishing and running a business – like, credible and customer – centric website will be a tough gig needing tons of money and efforts, thing twice. Today there is a bulk amount of world – class WordPress template at an affordable price and admin – friendly layout. One of the bright examples of such products is Perfect Banking that is truly perfect and unbeatable in every single aspect when use for diverse purposes. The authors of this responsive and SEO – friendly template have performed a laudable job of affiliating the best functional and structural technics to provide you with a template ready to go instantly. However, you are powered to add your own style and unique identity of your bank or credit union thanks to the customization options right at your fingertips. What makes a theme something precious is the stable top – level performance across diverse channels and seamless usability around the clock with errors brought down to the least. Complete Pro is the next banking WordPress theme fully complying with the above – stated definition. Given the ongoing increase of the interest and demand of online banking consultation and transactions, all banks are primed to foster their marketing efforts and get savvy about how to correspond to their web visitor’s needs. Complete Pro comes with all the primary controls and working strategies to track all the modern trends and be among the leaders in the financial industry. Responsive and plugin – compliant, the theme is designed to make it as affordable as possible to change the existing color scheme of the theme and bring new colors and shades to your website. Spend little but expect more in return with Condimentum, a template worth special attention and review. Leapfrog your primary competitors easily with this exceptional finance, business and bank – related WordPress website builder and keep your web visitors, card or account holder’s attention on your strong points. The theme is ready – made to handle a content of any size, nature or resolution, ranging from pixel – perfect typography to high – quality images, strictly – layered publications in relief zones and much more. This time – proof banking WordPress theme has been zealously worked out and managed by the folks who perfectly know their stuff in creating a template with a minimalistic approach. And this clean and precise, to the point and streamlined nature of the theme is exactly the one any financial institution will greatly benefit from. Another evidence of how clean and accurately arranged, serious – looking and user – friendly template can boost your bank reputation and let you get social to the possible extent comes loaded as Exceptiona. Exclusive and unrepeatable in sooth, this template has been coded taking into consideration all the norms of the modern WordPress community. Multipurpose and cost – effective, this template generates smooth and enjoyable navigation levels, translation – ready platform, as well as includes packages of fonts and icons. Moreover, even if you are clueless about how to deal with all the hustle and bustle of a web development or design arena, don’t worry. The admin part of the theme is practical enough for you to enhance your website the way you want, manage homepage sections and areas, translate your content or add the needed functionality via plugins. Deliver your new products and services easily yet effectively with a great assistance generated by Spirited Pro. This banking WordPress theme is polished and pristine, decorated with elegant look and color gamut to allure your bank clients and partners. Additionally, the theme’s structure is flexible enough to locate your posts and publications in an easy to find way, so that your website users will be able to make their payments, transactions, exchanges, pay their bills, view account statements and much more from the privacy of their dwelling. This theme effortlessly unites responsiveness and cross mobile compatibility, shortcodes and icons included, plugin compatibility and e – commerce readiness. There is no business or service which can now run without an effective presence online. This is true for both private and public sector industries as well. The latest and the biggest change that was seen with the networking system placed in the banking sector which connects all major banks and every small little branch to each other. It has brought a revolution in the market and the use of the service has seen only an upwards trend. This is because of the increasing trend that WordPress has created many templates which target the needs and requirements of the banking industry. The bank WordPress themes are appreciated because of the fact that they allow easy connection to the system. They are a gateway to the communication channel which earlier tool hours. This helps the users avoid those long queues and enjoy an easy transfer from the comforts of the home. There is no dearth of service which is not available online. 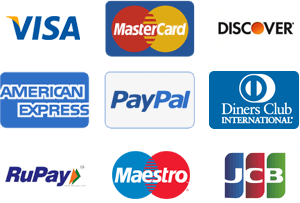 In fact, all the services that a bank provides are available with these websites. The user just requires an active account and the use of safety pins to ensure they are authentic. The identity should be kept safe so that there is no misuse and the websites make sure that they are protecting the website in every possible way. The importance cannot be overstated and the presence of the bank WordPress themes is in abundance. The users now sometimes get confused as to which of these themes will be best suited to them. Since WordPress is known as a platform that has been at the top of the game it has provided the users with all kinds of website themes. It becomes a difficult choice for the users now to pick one of them. The users who are not technically confident can make use of the list of the top-rated bank WordPress themes which will make the choice or selection easy. There is a careful selection made of the top themes which cover all the functionalities and are easy to use. When you are thinking just about banking then the theme like perfect banking is for you. This is used by many current banks as their main website theme as it provides tones of functions. It looks professional and it is able to handle huge traffic within a day. This does not mean that the users are stuck with the layout and the design; there is a lot of flexibility which is provided while using this bank WordPress themes. There are long lists and the users who wish to check out the whole lot should read in detail about them of the SKTthemes. The selection becomes easy when they best are laid out. WordPress has compromised on quality r service and thus the users can be assured that they will get the desired support while they are using any of the chosen themes. The bank WordPress themes are available as free or premium themes and are highly compatible with the plug-ins which make them a complete package for the service industry. This entry was posted in wordpress themes on March 28, 2019 by SKT Posts Themes. What do you recommend for incorporating security and online banking platforms with WordPress? I want to use WordPress from a convenience standpoint, but my bank’s I.T. and security officers are wary and I don’t blame them. I’ve had 4 WordPress sites hacked and taken over by hackers. Two of which were for ransom. Scary for a bank!!! I envision using WordPress as the informational site for a bank; being hosted separately from the online banking platform. Do you agree and why? Yes i suppose it can be. However with proper security audit done, with security plugin used and with websites like Sucuri, Cloudflare and with hosting backups and backup plugins used the chances of getting hacked reduces by a lot. Any website cannot claim to be hack free because ultimately from the computer someone logs in and that computer can also be hacked and passwords can be retrieved however that is applicable for any website built on any technology. However as said with the above steps done chances of getting hacked gets reduced by 99%. Looking clean as always, SKT. Bank themes need to look professional and tidy, like these numbers.